Healthy living startswith healthy water! Silica Bath is an excellent treatment against psoriasis. Psoriasis is an autoimmune disease that appears on the skin. It occurs when the immune system mistakes the skin cells as a pathogen, and sends out faulty signals that speed up the growth cycle of skin cells. There are five types of psoriasis: plaque, guttate, inverse, pustular and erythrodermic. The most common form, plaque psoriasis, is commonly seen as red and white hues of scaly patches appearing on the top first layer of the epidermis (skin). It is not life threatening, but people with psoriasis may have a higher prevalence of diabetes, psoriatic arthritis, heart disease, and depression. Stress: has been shown to initiate psoriasis or to aggravate it. Injury to the skin: When psoriasis appears in areas of the skin that have been injured (sunburn, scratches, vaccination), it is referred to as “Koebner (KEB-ner) phenomenon.” If caught very early, this can be treated. Infection: Streptococcal infections (such as a strep throat) may trigger a certain type of psoriasis, known as guttate psoriasis. Medication: Some medications have been found to trigger psoriasis or flare-up in some people. The Silica Mineral Concentrate of psoriasis treatment is based on bathing in the mineral water rich with Silica. Silica mineral baths have a prevention effect and help with the treatment of psoriasis Silica mineral baths helps to relieve pain and skin inflammation. Silica Mineral bath is the revolutionary technology in psoriasis treatment without side effects; stimulates normal cell functions, generates collagen growth, and increases the lymphatic system activity, helps to relieve pain and skin inflammation for many thousands of sufferers. Clinical studies have found that Silica Mineral Concentrate in the bath can help with psoriasis treatments. 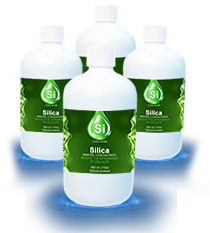 Silica Mineral Bath Concentrate is an undiluted solution and diluting with water is required before use, for one full treatment you will need 12 (500ml) of Concentrate bottles. 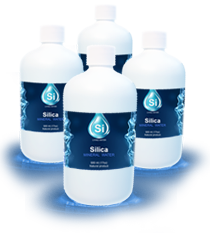 Add 500 ml of Silica Mineral Concentrate to 200L of water in your bathtub. The recommended water temperature of 36-37°C (Celsius) Degrees. Bath for 20 - 30 minutes every day for the course of 12 procedures, 6 days of treatments, 2 days off then followed by another 6 treatments. It is important to relax while bathing in the Silica Mineral Bath. After bathing don’t shower. Using Silica Mineral Bath treatment for Psoriasis is very effective because the healing process in the body continues to work several months after the treatment. That"s why the recommended rest period between treatments would be at least 3 months. I am a skeptic by nature. I never trust the words unless I investigate the issue myself. I came across the book by Klaus Kaufmann “Silica: the forgotten nutrition”. I should say that the book is very informative and interesting. I learned that there is a company which manufactures the silica water and decided to find out for myself what it is all about. In 2 months I started feeling much better – more energy, better sleep and what is more important I started dealing with stress my better. Now I drink silica water regularly. I trust myself. In spring 2003 I had all the signs of diabetes, including the sugar level up to 14 points which is almost 3 times higher than the norm. Doctors told me to completely exclude sugar from my diet. Starting May I started drinking silica water. I drink a full glass of silica water first thing in the morning, on an empty stomach. And during the day, if I was thirsty I only drank silica water. By September the same year I felt strong and healthy. I decided to go for another check up and to the doctor’s surprise, everything was fine with me. Sugar level dropped down to 4-5 points, which is an absolute norm. I am 80 years old. 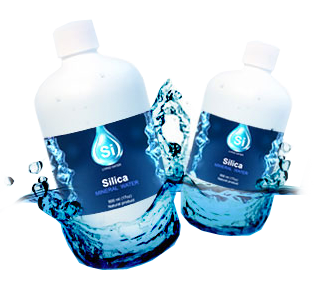 Our silica water preserves all the attributes of natural water and tastes great! Maintaining joint flexibility, providing joint support, protecting cartilage, osseous development and calcium assimilation; Reducing swelling, enhancing ligament protection and tissue plasticity; Improving the elasticity of the skin, as well as the strength and luster of the hair and nails; Supporting collagen production for healthy, youthful-looking skin; Decreasing demineralization. Silica Mineral bath is the revolutionary technology in psoriasis treatment without side effects; stimulates normal cell functions, generates collagen growth, and increases the lymphatic system activity, helps to relieve pain and skin inflammation for many thousands of sufferers. Copyright 2010-2019 Si Living Water. All rights reserved.